Willow was rescued in 2010 when a tree limb containing her nest was cut down in an Erie, PA city park. 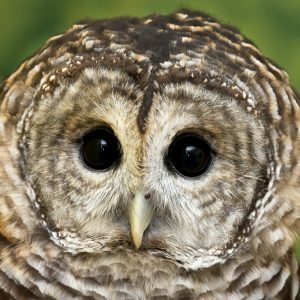 Willow was incubating three owlets at the time and injured her wing in the fall. 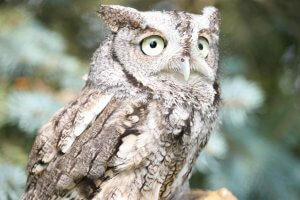 The owl family was brought to Tamarack for care. An excellent mother, once her wing was treated, Willow was united with her babies. 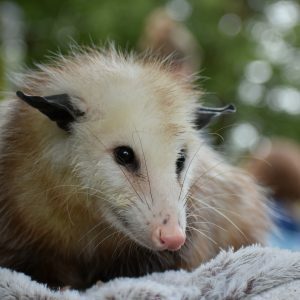 After she raised them to adulthood and they were released on Presque Isle. 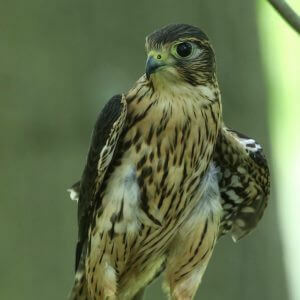 Willow is not able to fly well enough to hunt and has joined our ambassador team. 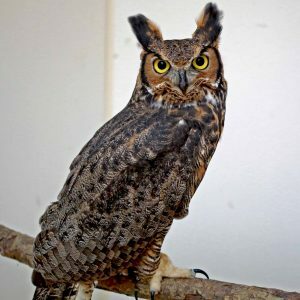 Always a favorite of the public, Willow joins the other education birds at Tamarack in providing programs to schools, service clubs, camps, churches, and other organizations so the public can discover one of Pennsylvania’s smallest and enigmatic owls.